The Kahnawake Gaming Commission (KGC), which oversees numerous online poker sites using Kahnawake-based Internet services in Canada, has released an official statement regarding the unfolding situation on UltimateBet Poker. The statement follows by several months the KGC's earlier involvement in the resolution of a similar scandal at Absolute Poker. 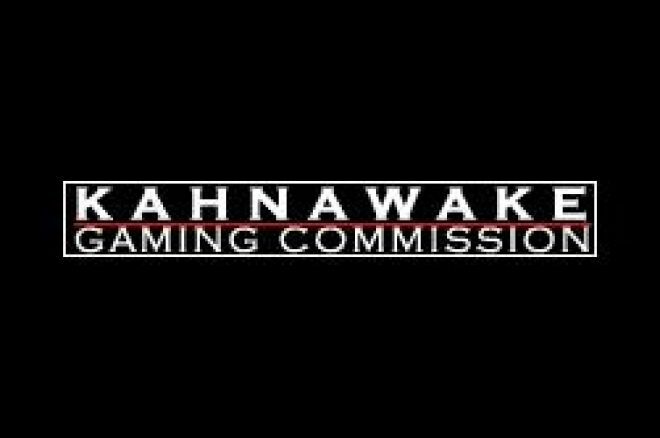 Kahnawá:ke Gaming Commission (the "KGC") has been continuously regulating online gaming for over 9 years – longer than most, if not all, other jurisdictions. During that period of time, the KGC has proven to be a world leader with regulations and methodologies that have established a regulatory environment in which online gaming can be conducted fairly and securely. The KGC's success as a regulator is evidenced by the fact that a significant percentage of the online gaming industry has chosen to locate and operate within Kahnawá:ke. Given the length of time that it has regulated this new industry and the significant number of licensees under its control, the KGC's record has been exemplary. As commentators have correctly noted, even the most well regulated industries are not immune from abuse. Examples can be found in the banking, securities and land-based gaming industries. The fact that the online gaming industry is new and is technologically driven creates additional regulatory challenges. Throughout its history, the KGC has met these challenges and its regulations have been emulated in a number of other jurisdictions around the world. Over the past several months, it was discovered that individuals within two of the KGC's licensees – Absolute Poker and Ultimate Bet – had created and carried out a scheme to cheat players. In both cases, the improper conduct of these individuals was brought to the attention of the licensees, and the KGC, by affected players. The KGC acknowledges the diligence and sophistication displayed by these players and the role they played in bringing these matters to light. The first case involved Absolute Poker. After a thorough investigation carried out by the KGC and its agents, Gaming Associates, the KGC rendered its decision in this matter on January 11, 2008. This decision concluded that the cheating that took place was not initiated, nor did it benefit, Absolute Poker as a corporate entity, or its directors or principal ownership. The decision imposed a number of sanctions and conditions on Absolute Poker, including twenty-four specific directions for changes to its management and systems. The KGC was provided evidence that all players affected by the cheating that took place were fully reimbursed for their losses. Shortly after its decision was rendered in the Absolute Poker matter, the KGC first became aware of similar allegations of cheating involving individuals within Absolute Poker's sister company: Ultimate Bet. Over the past several months, the KGC has been closely involved in an in-depth investigation of the Ultimate Bet cheating allegations. Significant efforts have been expended to identify and correct the flaws in Ultimate Bet's system that permitted the cheating to take place; to identify the individuals that were responsible for the cheating and to ensure that all affected players were fully reimbursed. Unfortunately, the KGC's actions were not well communicated to the poker industry or public at large, creating an incorrect perception that the KGC was 'doing nothing'. The KGC's investigation into the Ultimate Bet matter has yielded a number of key findings which, within the next several days, will enable the KGC to issue its decision on the appropriate steps to be taken. It should be stressed that the KGC's primary concern throughout both matters was to ensure that affected players were fully reimbursed and that corrective measures were implemented to prevent against any further incidents of cheating. Both of these objectives have been accomplished – as evidenced by the fact that the recent concerns that have been raised about the Absolute Poker and Ultimate Bet matters are not being driven by affected players.